Car racing films are one of the most successful and money bringing subject matters, if the story written is audience friendly and compelling. On the other hand, it’s hard to bring anything new to such films if you don’t have anything new to say. 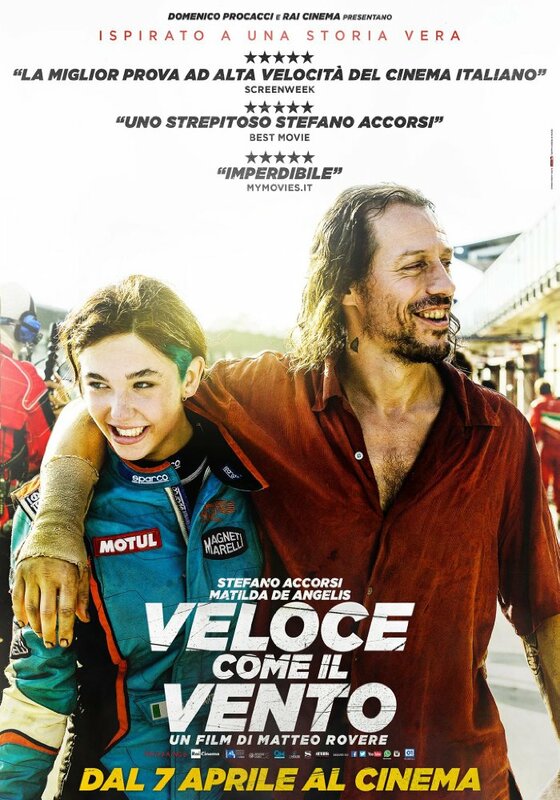 Matteo Rovere’s Veloce Come Il Vento is a film about a family which does not know anything else but the speedy track and spirit to win bigger races. However, there was one thing about Rovere’s film – it was not just a cliché; it had an excellent story, twist and turn, and absolutely incredible film inside and out, every viewer, no doubt will appreciate. Giulia is a 17-year old teenager who now took over the family legacy to continue winning as many championships as they can. The reason for that is very simple: her father owes money to a local, who will take their house away if the debts are not paid. But tragedy, as you know, never comes alone as Giulia’s father dies while his daughter was on the track. Left alone in the whole world with her little brother, the young girl must face the challenge to win the race at any cost, but also deal with her drug-addict brother, Loris, who in the past was a champion as well. Everything happens when the movie begins, when the head of the family passes away and the absolutely unreliable and under drugs, Loris, appears at the funeral of his brother. His 10-years of absence was quite noticeable when he did not even know that he had a ten-year-old brother. Now that Romeo can be taken away rom his eldest sister, Giulia agrees to allow Loris to stay in the house with his girlfriend Annarella (Roberta Mattei) who seems to cannot imagine her life without drugs. But when the things calm down a bit, Loris learns that the house might be gone if Giulia don’t win the race… and having excellent sense of trajectory and extensive knowledges of engine, Loris joins Giulia to win the race of their life – which is not the race itself – but a family, trust and love. Veloce Come Il Vento is a simply charming movie by all means. It had such a heartwarming story that will inspire many. Another fact of matter is the cast, which I must say was exceptional. Roberta Mattei as Jena is mind-blowing. Her outstanding performance as drug addict will make you feel so uncomfortable as if you were looking at someone who was five minutes away from her own grave. Stefano Accorsi as Loris is unrecognizable and beyond convincing. To conclude this, Rovere’s film is a beautifully made film with a story that, believe me on that, will make you think over afterward for a significant amount of time.